Teeth are not simply pieces of hard enamel and are NOT really impervious – they are individual organs that develop together from one cell and are connected from formation in the uterus, to a corresponding organ in your body, so if the tooth is sick, then the organ that it is connected to from fetal development is generally equally affected and compromised. This is why I often ask you if you have had root canals or dental problems, when you are telling me about organ symptoms or skin problems that you are experiencing. Sick teeth often are the cause skin or hair problems as well. Each tooth has its own blood, lymph drainage and nerve supply into its core and all are anchored in surrounding bone. Therefore, if the tooth has an infection or is compromised, then the bone, which is a VERY LIVING organ as well, may also be affected and can cause an abscess and subsequently cavitation in the bone. All are potentially and usually seeding the body with whatever is affecting/infecting the tooth, through your bloodstream and lymphatics, from the inside of the tooth and bone, never mind gums, so teeth need the same thing that your ENTIRE body needs – PREVENTION, NON-TOXIC and ideally if at all possible HEALTHY, YOUTHFUL, OPTIMAL function! Each tooth is an organ with cells which are affected by hormones, vitamins, minerals, acid, alkaline, chemical toxins and your body’s health, or lack of health. The gum surrounds the tooth to help prevent infection from entering down into the bone by sealing it from above. So, if the gums are inflamed then that is also seeding the bone and tooth from the outside in. Remember – you ARE what you eat and drink AND put ON your skin, teeth, gums! Unlike what most people think, teeth are porous… so your teeth are affected from the outside IN, by food and drink AND DENTAL PRODUCTS THAT HAVE UNDESIRABLE chemicals in them that absorb into the nerve ROOT of every tooth. FOOD IS YOUR MEDICINE from the outside, into your teeth, and from the inside of your body INTO your teeth! The enamel and dentine of EACH tooth contains MILLIONS of tubules that open from your mouth into all the INNER tooth and root. It is through these tiny tubules that our saliva nourishes our teeth and therefore toxins, chemicals and infectious agents can be/are absorbed into the CORE of the tooth, its root, nerve, blood and lymphatic supply and becomes another way of entering the BODY never mind from what you EAT absorbed into the bloodstream then circulating through the tooth from the inside. Dental materials and exposure of the tooth to natural light or removal from light with caps, it is LONG known and WELL documented impact dental, skin, internal hormonal and gut health, which is also why dental health is essential in considering prematurely low hormones or skin or other symptoms. Dental products on the market today are made of toxic mercury, glycerin, aluminum, barium, bis-phenol, plastics and chemicals – absorbed into the body via the tubules into the internal tooth, the gut from swallowing and lungs from vaporization of the chemicals…all with potentially negative side effects. You NEED to use TOOTH POWDER and NOT paste because ANYTHING that is paste is full of GLYCERIN as the wetting agent that makes it paste, and if you brush your teeth with glycerin, whether vegetable or synthetic, it is a SUGAR, absorbing into the tubules and tooth ROOT and promotes tooth decay, AND it is a SUGAR that is also bathing your gums! That is FIRST and FOREMOST WHY NO glycerin should be in ANYTHING you put on your teeth to CLEAN them! You are actually PROMOTING DECAY! Remember – ingredients to AVOID are the same for teeth and gums, as they are for skin and internal organs. Made with MAXIMAL beneficial ingredients for promoting TEETH HEALTH. A special chemical form of Calcium Carbonate, Xylitol (ABSORBS and BINDS fungus for greater DENTAL HEALTH), CORRECT Sea Salt (dehydrated Quinton water known for YEARS to help PREVENT the risk of DISEASES), selected KNOWN for teeth and gum health and anti-inflammatory, which help the saliva optimally protect and nourish the teeth and gums. These ingredients are absorbed INTO the tubules and promote dental and gum and BODY health! These tooth powders do not foam, there is no soap nor detergent nor harsh chemicals such as in mouthwashes as with dental products containing lauryl or laureth sulfates and alcohols. It will NOT destroy the protective natural micro-organisms/healthy probiotics, and the HEALTHY biology of our mouth, as do the detergent/ingredients you must avoid. Another reason they are powders is because their ingredients require no preservatives and promote MAXIMAL strength EACH time you use them vs. a liquid which loses whatever positive therapy it may have intended, due to oxidation with pastes. will gently whiten the teeth and healthily stimulate our digestive system. Lemon is antiseptic, has excellent digestive properties, stimulates the liver/gall bladder healthily as well. 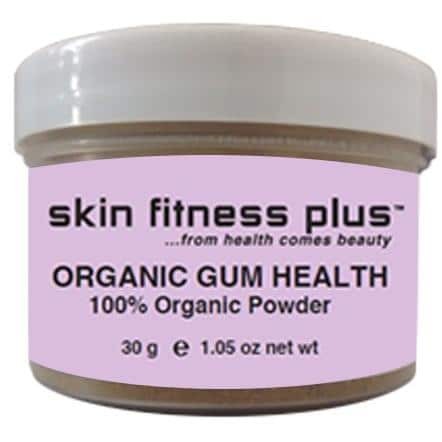 due to the herbs it contains has high antimicrobial effect helpful in healing mouth and gum issues. START by using Peppermint then alternate the two powders if you choose. 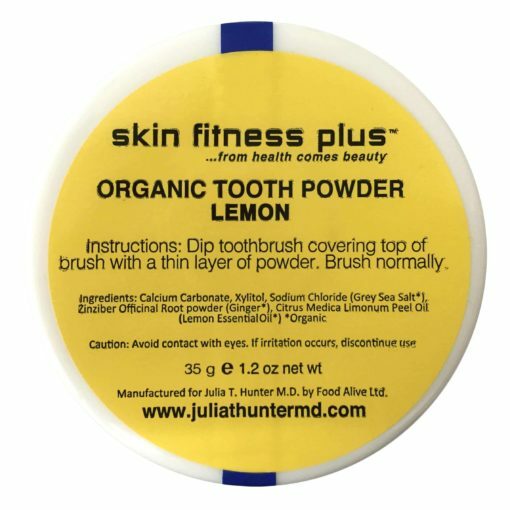 Instructions for Tooth Powders: Dip tooth brush covering top of brush with a thin layer. Brush normally 2-3 times a day. is 100% organic vegetable/herb. It is used once a week ideally for the very specific herbs which MORE nourish, strengthen, clean, repair, protect, optimize GUM health and MAXIMAL function. This is akin to an intensified face mask for the teeth once a week, so ideally you leave on your gums for a few minutes or an hour or overnight after brushing. 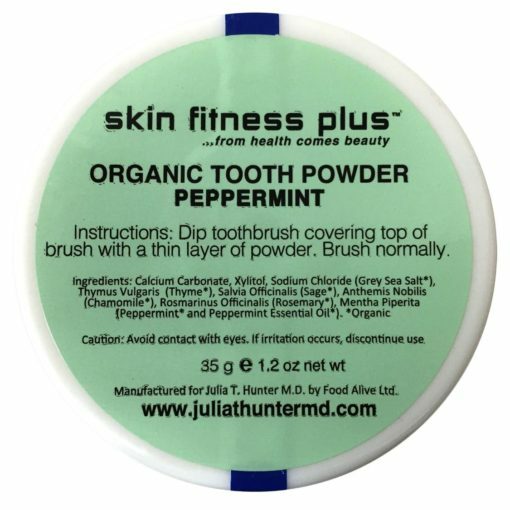 The herbs are brown, so it turns your tooth brush but NOT your teeth a bit brown, but only until you brush your teeth with the tooth powders again which healthily whiten your teeth AND your toothbrush! Calcium Carbonate provides a gentle cleaning. Calcium is also one of the main components of teeth and enamel that fills the tubules to help strengthen/repair and restore enamel.